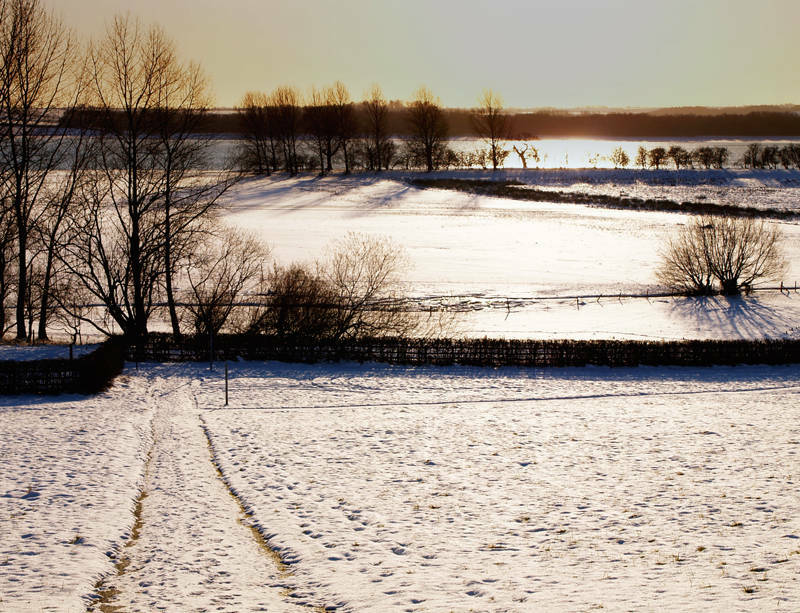 This is the North shore of Rutland Water after the snow. I’ve shot this path from another angle here. The panel below shows how I have digitally developed this image in Photoshop. The Levels and Curves layers affect the whole image. The other two layers have masks applied. 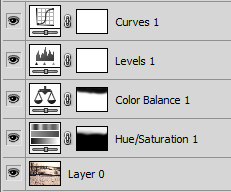 The Colour Balance layer only affects the ground and the Hue/Saturation layer only affects the sky.